Thermaltake's TMG series radiators feature the highest quality materials with innovative designs targeted at the extreme high performance and professional markets. Designed around a motorsports radiator with dimple tube technology creating a vortex swirl of coolant throughout the radiator. Combined with high density louverd fins, these features greatly enhance the performance of this radiator. 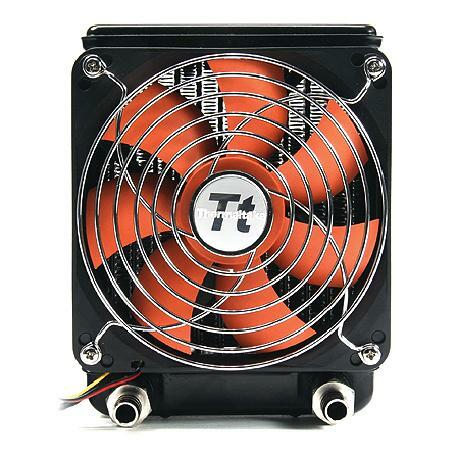 The TMG1 features an adjustable 120x35mm high flow low noise fan to drive the cool air through the radiator. Quick install connectors make installing the TMG1 in any 1/4" or 3/8" system a snap!